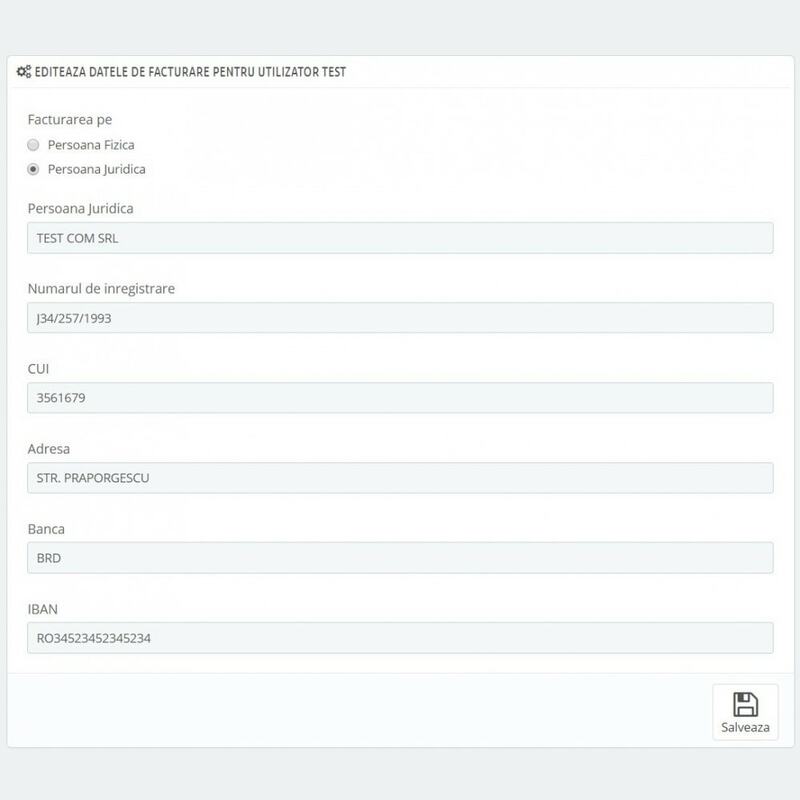 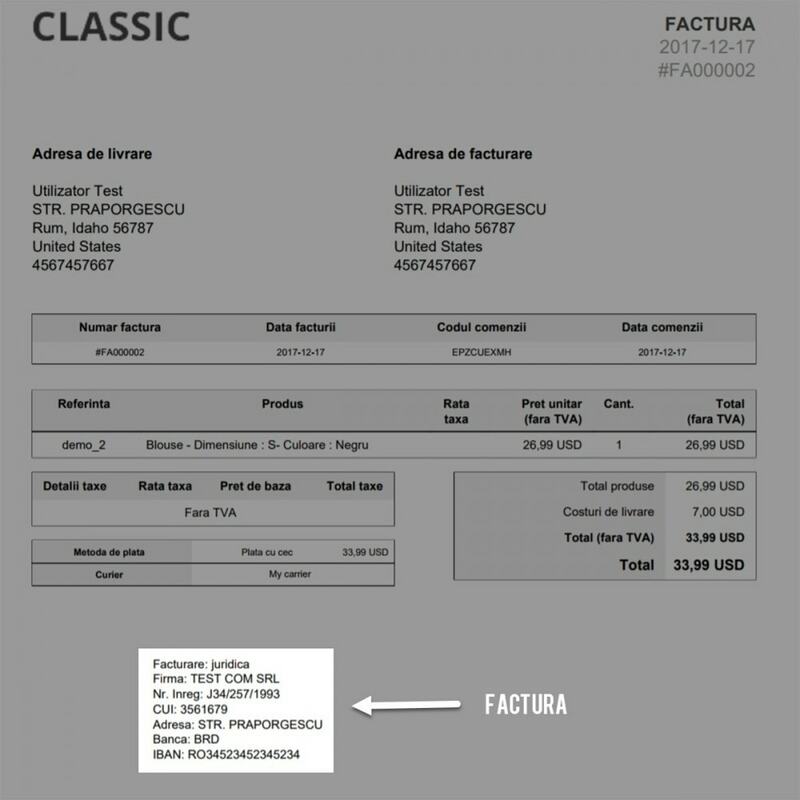 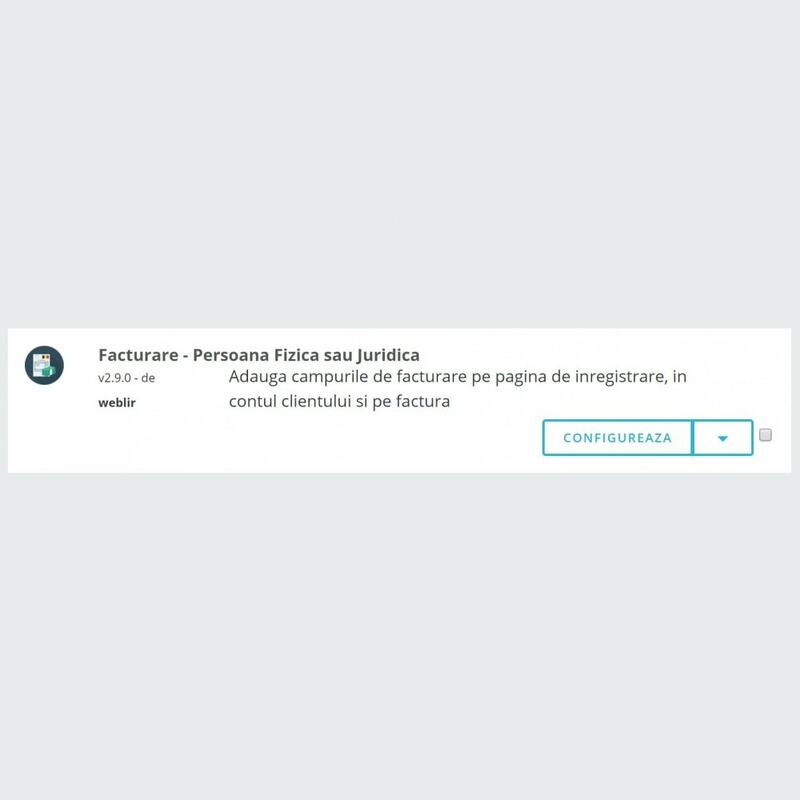 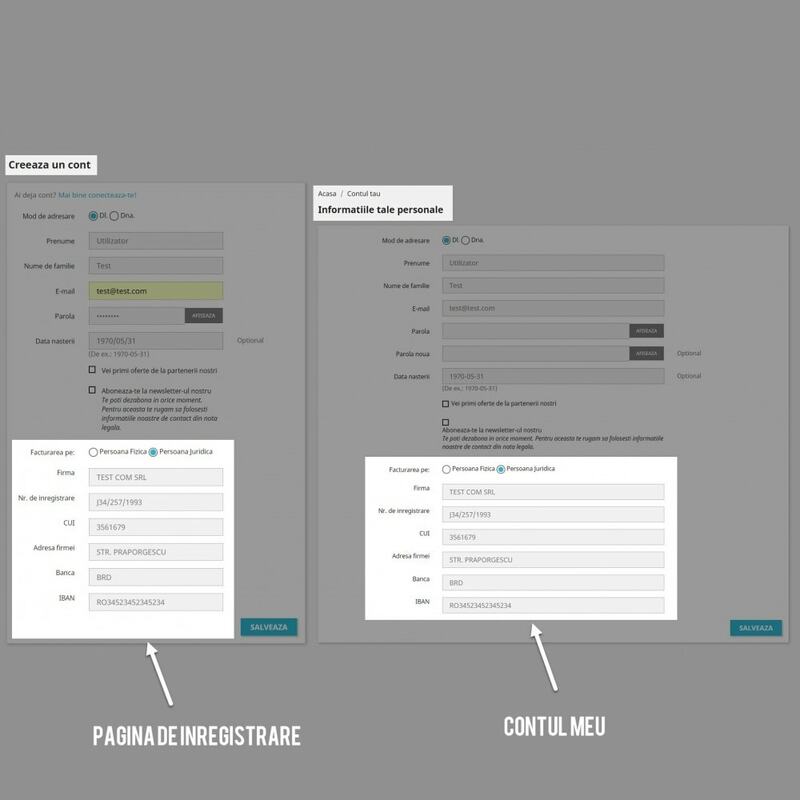 Facturare - Persoana Fizica sau Juridica Module allows you to add some additional fields on your shop. 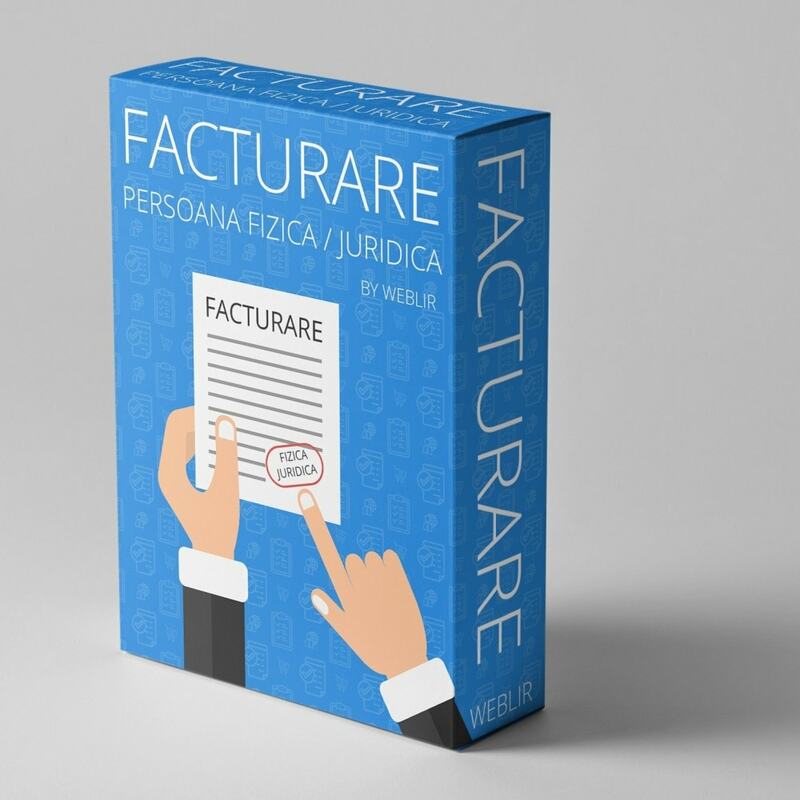 Utilizatorii isi vor putea face un cont unde pot alege intre persoana fizica sau juridica. 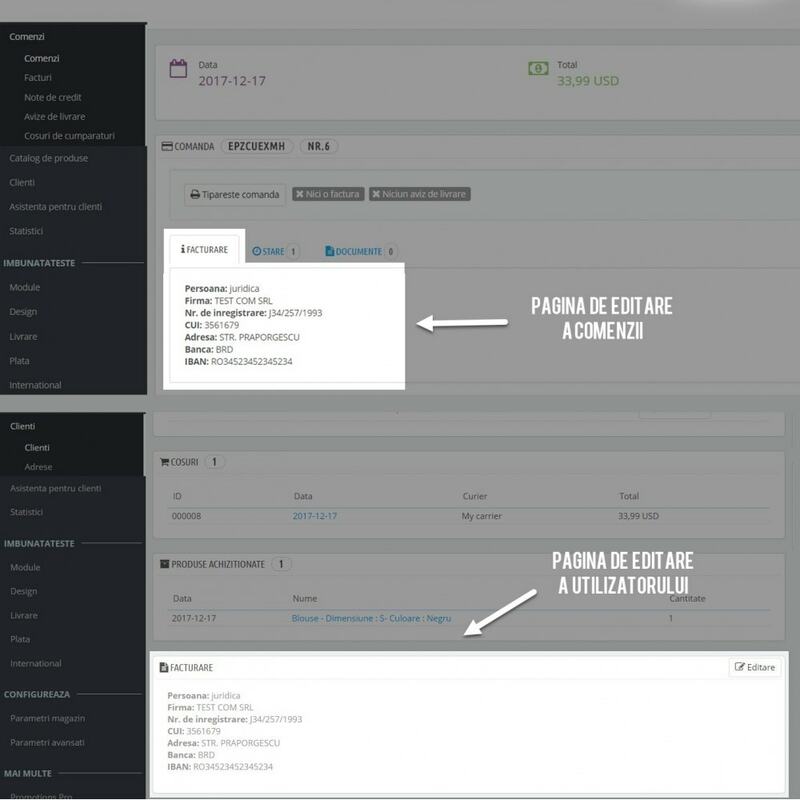 Display the information on the register page, into the users account page, in the backend, on the, customer view page, in the backend, on the order detail page, on the invoice. 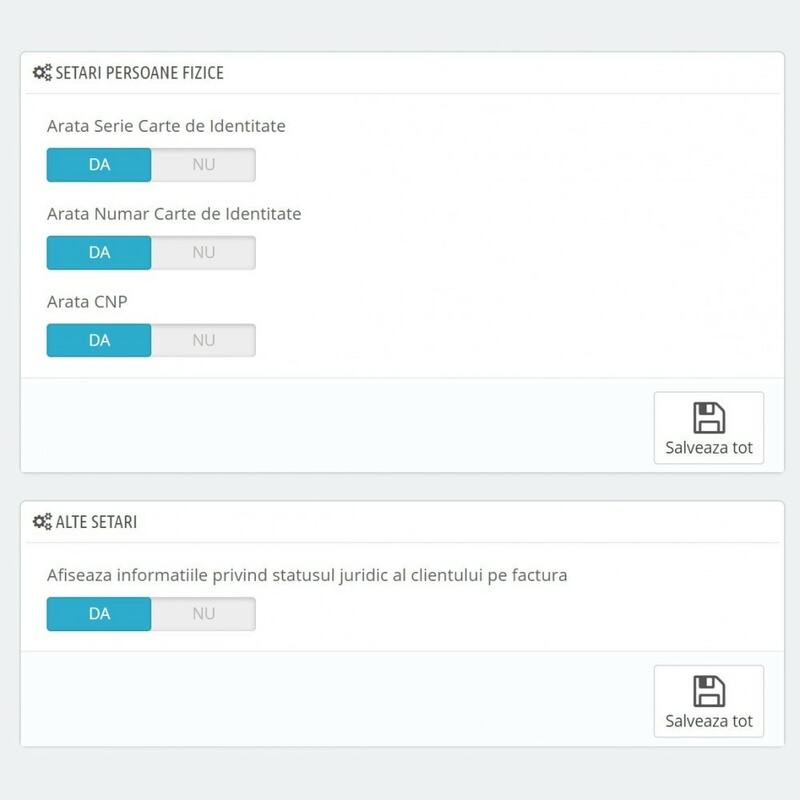 Ce ofera in plus utilizatorului? 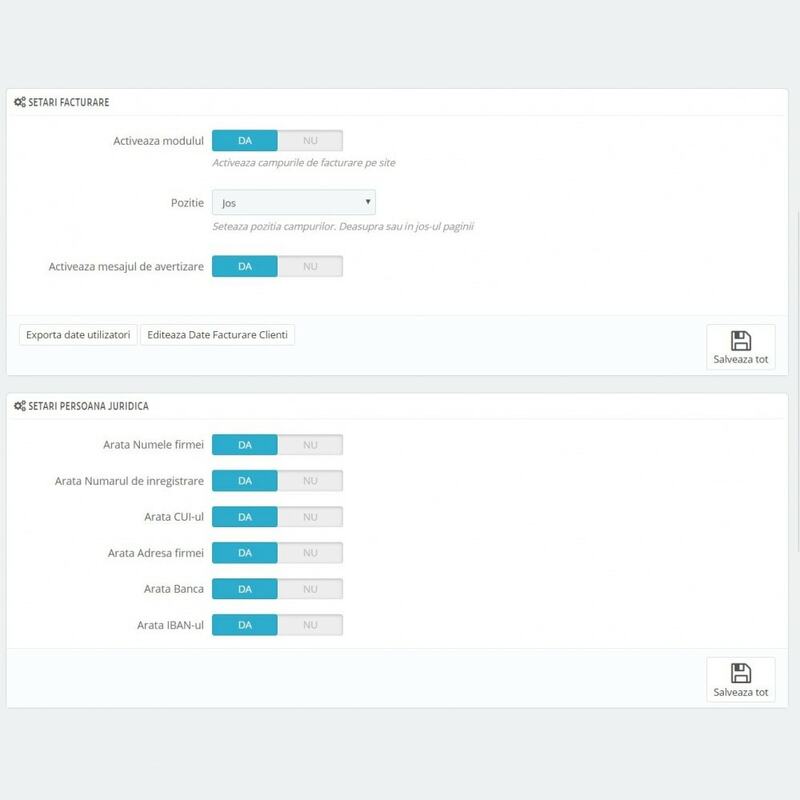 Go to module's configuration page and set preferences.